So we all knew that “very soon” was a lie, right? I’ve been busy ignoring my newfangled IT-engineering studies to do gamedev, or that’s my excuse anyway. 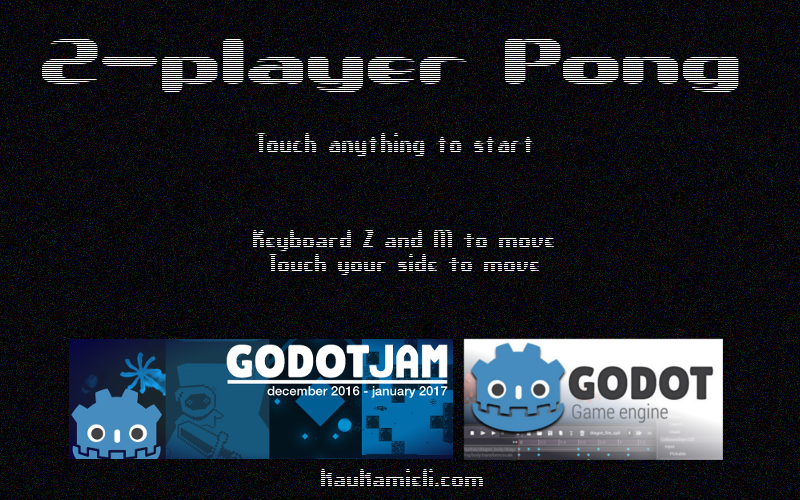 I’m learning Godot game engine to switch from Unity. 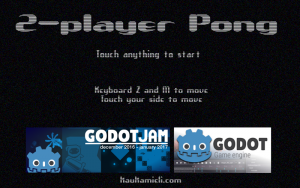 Godot has a community game jam going on right now, and the theme is 2 buttons. So I made a pong, where each player has one button to move the pad around. Ball goes around with physics and there are fancy effects and if the ball stalls, players are in for a surprise… It’s really a mobile game, but you can play it on browser too on the next link. No, the music game I was talking about isn’t quite finished yet. It is in a very good stage, though. The bugs have been ironed out. I’m mostly thinking about if I should release a version with just a couple of songs first for free, and how should I monetize the game or if at all and such. Posted on December 28, 2016 Categories PianoPiano, Pong2P, WebGLLeave a comment on Finished a humble project. No, not that one.